As we mentioned in the beginning of this presentation, the purchase of uniforms will be one of the largest investments you make. It becomes the responsibility of each individual involved to provide their school and community the highest quality product available. Hopefully, this booklet has answered many of your questions. We are sure that not all of your questions have been answered, however, and we stand ready to assist you in any way possible. When you are evaluating companies, you must consider service and support offered by the manufacturers. Once your uniforms are delivered the representative’s job is only half done. 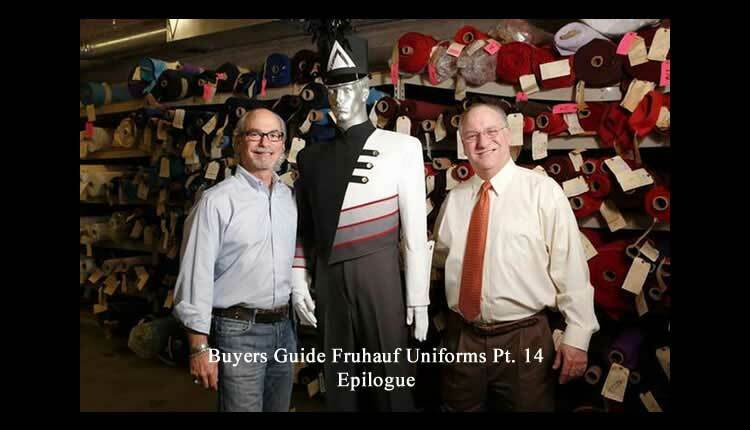 For over ninety years, Fruhauf Uniforms, Inc., has been providing quality products and complete service and support to schools throughout the United States.Today we stand ready to offer you that same support in your project, call us for that support.